The first thursday of each month, aka Preview Thursday, is definitely the best opportunity to meet the artists exhibiting in Arts District galleries. 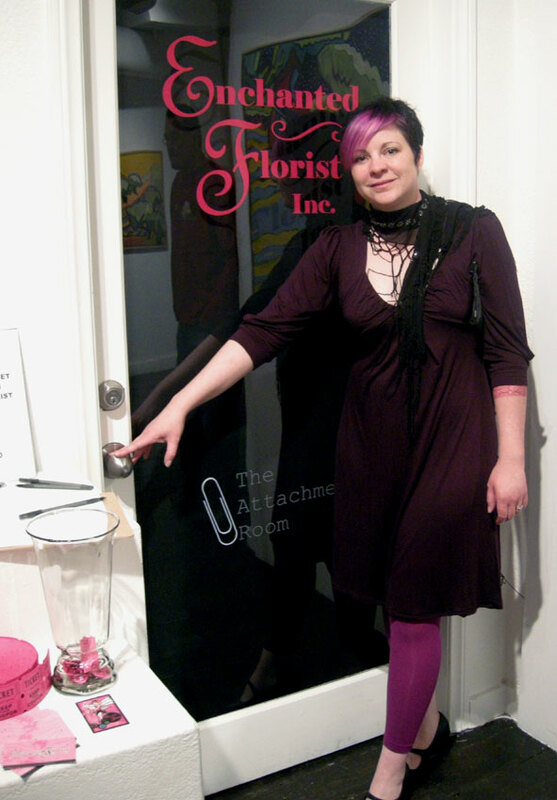 The Enchanted Florist has created an autumnal installation in the Attachment Room at Trifecta Gallery where viewers are invited to enjoy a multi-sensory experience. Heather Hermann, aka Calliopie is showing 'Luminous Body' at Sin City Gallery, featuring works in a variety of mediums which hark back to a more romantic era. Calliopie, along with Domsky Glass will be hosting 'Steampunk Your Junk' at the gallery each Thursday evening in October where everyone is invited to bring along industrial-style junk and incorporate it into artworks. 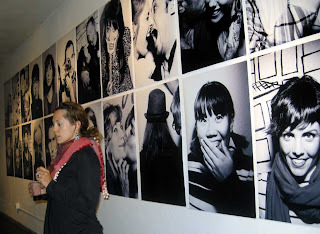 Photographer Jana Cruder is exhibiting poster images from her 'Faces' project at Space Gallery, across from the Arts Factory. 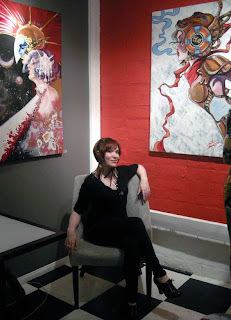 After three years in the Arts District, this will be Space Gallery's last show, so it's fitting that it is dedicated to the great diversity of people who have visited over that time. 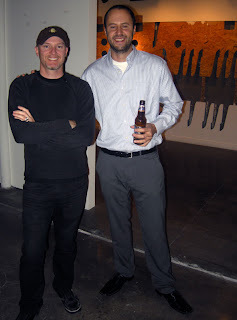 The Contemporary Arts Center has invited Chicago-based artist Scott Carter (photographed here with Matt) to deconstruct the gallery space. Carving shapes from the walls, Carter has created an installation of sculptural objects alongside wall-mounted strata built up over time by plaster and paint. So happy you came to see the show! Thank you for your encouragement and support! Love your keen eye, Jo!